You can get a VR-ready graphics card for just $169. The card is the GTX 1050Ti 4GB, and yes it is VR ready for Oculus Rift and Windows Mixed Reality headsets. Moreover, it can speed up your 360 video stitching. Besides being VR ready, the GTX 1050 Ti also has three advantages: First, unlike most graphics cards, the low profile and mini versions do not require a power cable. Second, because they won’t require additional power, you won’t need to upgrade your PC’s power supply unit. Third, the low profile version of the GTX 1050 Ti is the most compact VR-ready graphics card and can fit even slim desktops. In short, this is as easy as it gets for adding a VR-ready card. Although the GTX 1050Ti is less powerful than other VR-ready graphics cards, for certain applications it is just as fast. In particular, for stitching GoPro Fusion videos, my GTX 1050Ti works just as fast as my GTX 1080. In recent years, the price of the GTX 1050Ti was driven up to $200 or more by bitcoin miners (in fact, some versions of the GTX 1050Ti are still over $200). However, perhaps due to the cooling down of the cryptocurrency market, the price of the GTX 1050Ti has moved down, closer to its original price levels, at least for now. Now, you can get a low profile GTX 1050Ti, or the GTX 1050Ti Mini for $169 as of the time of this writing. I have a GTX 1070, which I got almost 2 years ago, and I can’t believe how long it held (or exceeded) the price I bought it at. I got one before mining went crazy in the summer, so it’s nice to see cards finally going down in price. An Oculus Rift is so fun, and everyone I show it to instantly loves it. 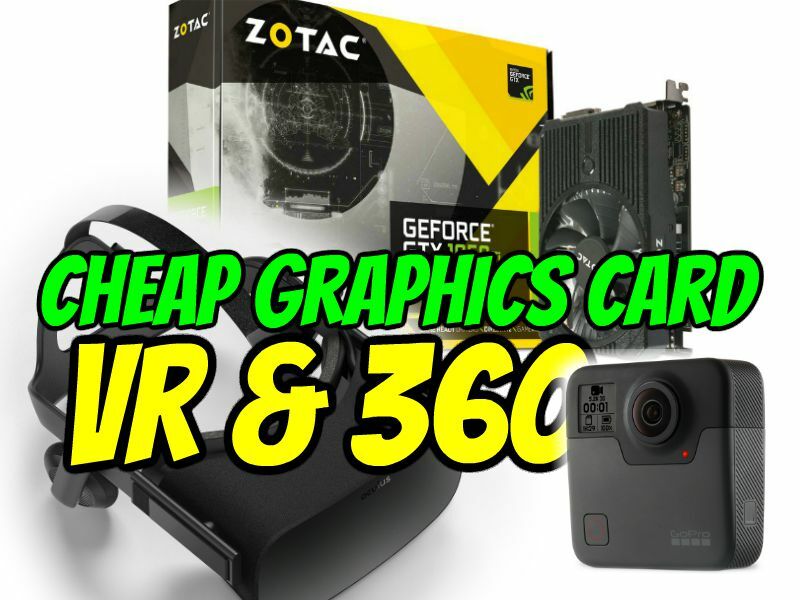 A 1050TI for $170 makes an Oculus VR total price much more accessible. A minor correction, though. GPU prices were driven up by cryptocurrency in general, but not specifically by bitcoin. The profit and craze was in Ethereum (and a few other currencies). Bitcoin hasn’t been profitable for years now on a CPU or GPU and didn’t directly contribute to the GPU shortage. Thanks for the correction Stephen. I’ll correct it.